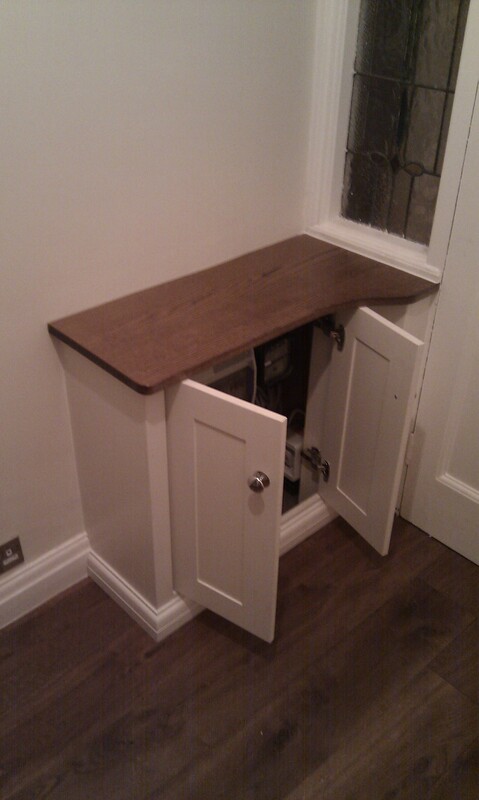 Here is an example of a meter cabinet that was completed today. It a common problem and not the first to be tackled. Quite often consumer units are installed right next to the front door, especially in a 1930’s semi. The original ones were too small to handle today’s needs (electric meters, earth bonding, RCD switched consumer units, gas meters etc.) and because of this they often got damaged or removed when updates were made. So what do you do? Stick a console table over the top? Well you could… or you could have a practical bespoke solution to compliment the period of the property and conceal the whole mess. Lambs tongue skirting to match existing. This is set lower to allow for maximum access of the cabinet during electrical maintenance. Clip on hinges enable doors to be easily removed for maintenance. 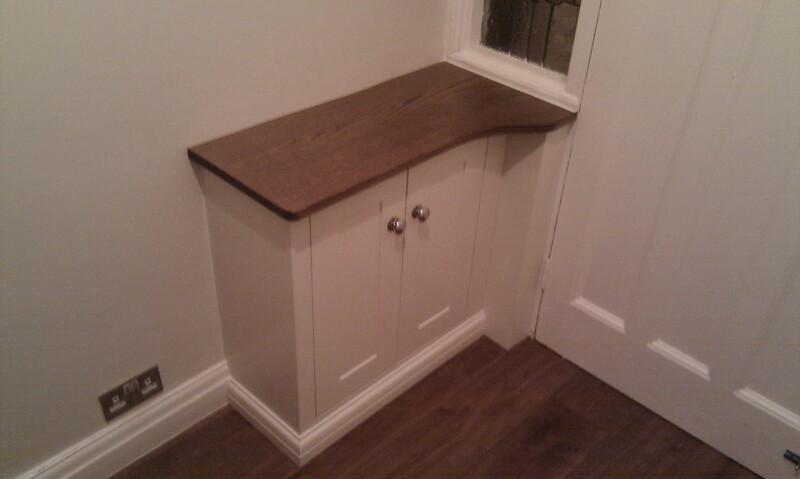 Oak top scribed to fit ‘wonky’ wall and dyed to fit in with existing timber flooring. 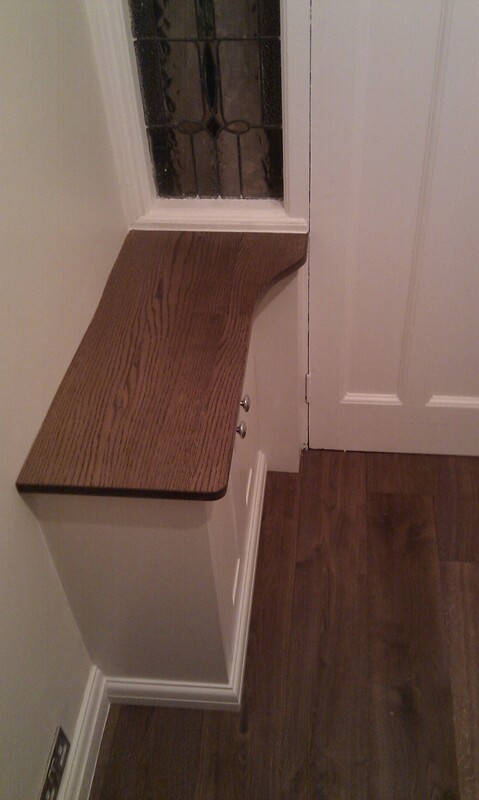 This entry was posted in Cabinetry.